Even if you get yourself a decent D-Lock, your bike is never entirely safe. If we forget about the fact that some thugs don’t even try to be discreet about their thieving and saw your lock off straight out, the others are still very interested in at least your wheels or other parts of your bike. That could be soon over, though. 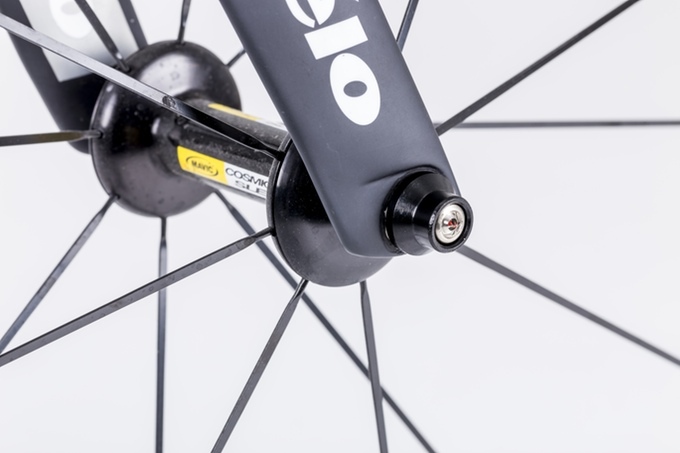 Security skewers already exist for wheels, seatposts and saddles, but they don’t work on every single bolt design, and as our interview with an actual bike thief shows, the thieves are well aware of those, carry keys to most of the common brands, and if they’re determined enough, nothing’s going to stop them. The concept behind Hexlox is simple, a small, uniquely designed piece of magnet is supposed to sit in the head of a hex head bolt. The same are used all around the bike, and only you have the key to extract them. That should make the work for thieves much much harder. The project got successfully funded on Kickstarter, and you can already pre-order the products on Hexlox website. We cannot guarantee that it will scare off all the thieves, but as our interview showed, even these people play by some kind of rules. “My golden rule was ‘do it under a minute or don’t do it at all’,” revealed a thief we interviewed earlier this year.